The newest addition to the CLM language learning program, our YouTube channel houses playlists of music in the target languages, and will eventually hold more songs and other language learning videos. Listening to the language while doing other chores is a great way to keep your brain engaged with the language, and can help you learn vocabulary that you wouldn't regularly recognize. Netflix has a number of Persian movies available for viewing. These often have English subtitles so you can check your understanding. You can find Persian language movies by clicking on "Browse" at the top, and selecting International. You can then refine the selections by clicking on the sub-genre box and selecting Middle Eastern. You can find lists of Persian movies on Netflix by searching the internet, too. Here are two examples, one from Foreign Policy and one from Best on Netflix. IMVBox, the premier streaming service for Iranian movies with English subtitles outside of Iran, has the largest collection of Iranian movies on the internet. It is an incredible resource for Persian language movies. Shabake Nim, a puppet based comedy series, pokes fun at the current regime, part of ManotoTV, a great youtube channel with news broadcasts similar to the BBC. Chera ke Na, "why not" in English, is another good series with a mix of English and Farsi. Each episode focuses on a different lesson, from paddle boarding to Japanese restaurants. Both of these series are part of ManotoTV, providing Persian speaking viewers with fresh, original material ranging from documentaries and foreign affairs to talent shows and comedy sketches. SCOLA helps the people of the world learn about each other's cultures, languages, and beliefs. A non-profit educational organization, SCOLA re-transmits foreign TV programming from around the world and provides other foreign language resources, language lessons, and learning material. Universities, colleges, and schools use SCOLA's language resources to better teach news, current events, and cultural issues. US-Iran TV provides relevant news of a variety of topics in Persian, and frequently shares links to broadcasts in the language. 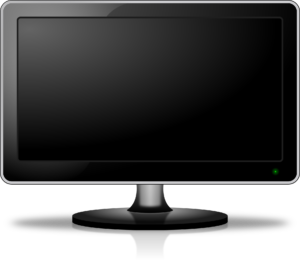 The site offers 24-hour Persian language TV, but it is currently under re-construction. Until notified otherwise, please use their Facebook page in the place of the real site.